It goes without saying that having an appreciation for humanity is critical for doctoring. One of the areas of medicine that is most tragic is how we treat the elderly. If I could change one thing about medical care, I would make the care of the elderly more gentle. Dr Dan Matlock (@Dan_Matlock) is a friend and academic physician interested in improving decision quality. He wrote this in a comment on my recent Medscape/Cardiology post. Somewhere in the last 100 years, we have replaced humanity with technology. I actually think we have huge gains to make in bringing the humanity back to medicine. A field of medicine with deep humanity and amazing technology – then we’ve got something. Where does one learn about humanity? One place is through the arts. If I was in charge of medical education, the film Amour would be required viewing. 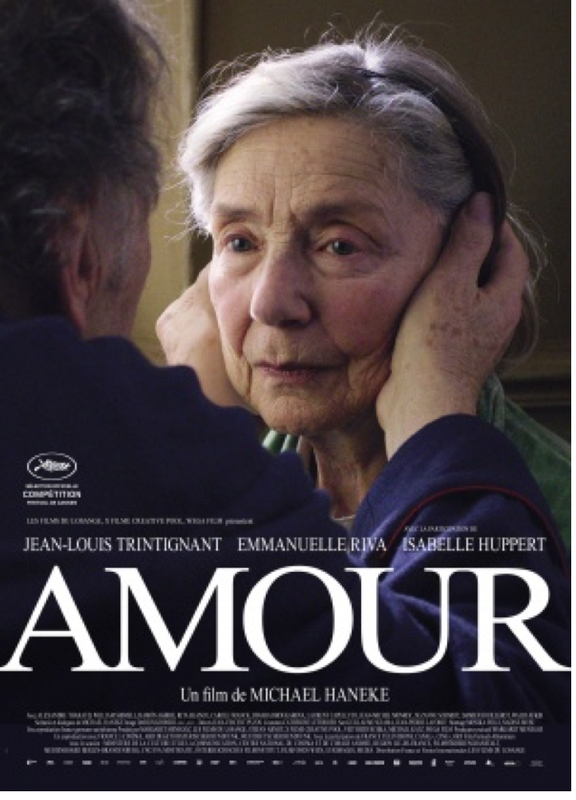 Amour is a French-language film from an Austrian filmmaker that won an Academy Award for Best Foreign-language film. It deserved it. The plot centers around the struggle of an elderly married couple after the woman suffers a stroke. It’s poignant in how it depicts the human struggle of illness and frailty. Loss of independence and loss of dignity isn’t something that most doctors understand. You go to class and you learn about cells and physiology. Then you go to the clinic and the hospital and you learn about drugs and procedures. You see disease, but it’s harder to see the people with disease. It’s hard because you don’t see what they show in Amour. A few years ago, my wife Staci and I (mostly Staci) helped care for a neighbor with advancing Parkinson’s disease. Watching her slow and steady decline (over many years) from a vibrant independent woman taught me a lot. It’s a sad film, yes for sure. But it’s important for doctors and patients alike. As technology advances, and we get better at keeping our organs going, the importance of appreciating humanity only increases. Totally agree. That movie is definitely curriculum material for end-of-life courses and medical humanities and ethics. Also fantastic acting! 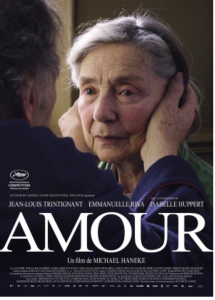 I haven’t seen Amour but I will definitely add it to my list. I love the humanity you bring to medicine with your ongoing voice on the blogosphere. GREAT post by Dr. John on a very important topic. My feelings while viewing the film Amour were divided between not wanting to see what I knew would unfold (it is not a happy film) – yet not being able to stop watching (and knowing I just needed to continue watching the film until its end). Agree completely with recommendation to make it mandatory viewing for medical providers. Greatest insights are best learned when medical providers become patients or loved relative of one who is a patient. Clinicians-in-training need to attain the capacity to empathize with all aspects of the patient situation (and the patient’s family position) – from financial/insurance aspects, to medical care during and after hospitalization. That unfortunately isn’t always taught. Clinicians-in-practice need constant soul-searching to guard against burn-out and loss of the capacity to empathize. We need to maintain the ability to put ourselves in the shoes of the patient/family we are caring for. Films like Amour serve as a poignant reminder of the overview understanding we need to maintain. THANKS Dr. John for your post. Excellent choice of a movie to give a glimpse of real life. My soapbox has always been that modern medicine removes us from the reality of the end game, and leaves the patient alone.